The average adult eats about a ton of food per year. In the industrial world, the majority of that food gets from farm to plate in trucks. Almost all of the nutrients in all that food passes through the people, and passes through their toilets. Where we live on Cape Cod, most of those nutrients then go into their septic tanks, and some of it goes into the groundwater and eventually into the coastal waters. The rest is trucked away as septage to a sewer. 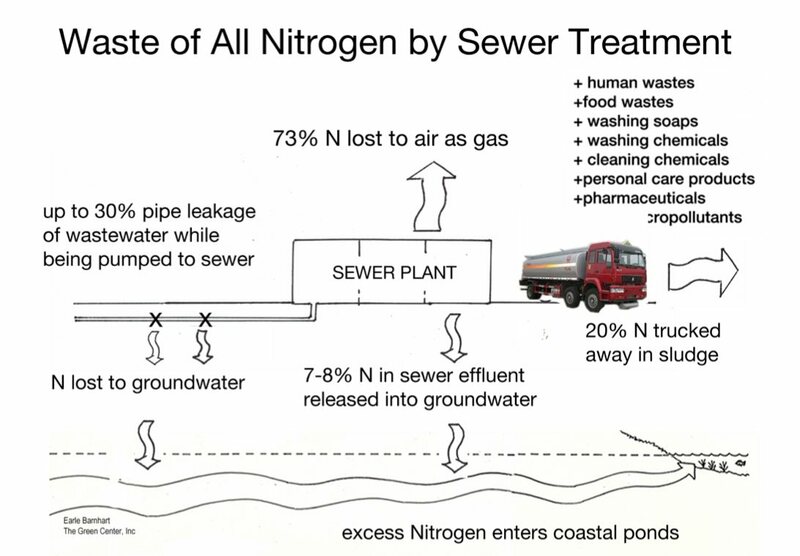 We think it’s crazy to put all those waste nutrients into water, and then at a high cost try to remove them from the water again, or even to try to remove only one of them (nitrogen). And it’s ecologically wrong to waste all those nutrients: they should be recycled them back to an agricultural or natural ecosystem. 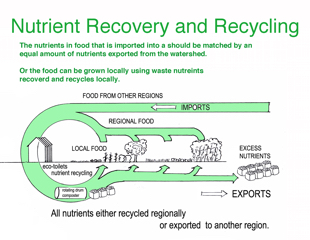 The following slideshow is our presentation “Let No Waste Go To Waste”, a call for an ecologically-based water, nutrient and energy management scenario. It focuses on Cape Cod, but the lessons can be applied anywhere in the world. Pause and continue the slideshow using the buttons on the bottom of the image. 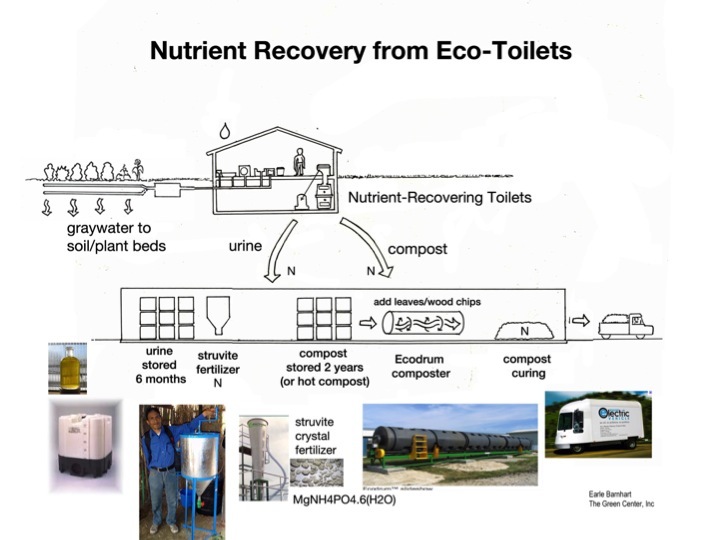 An eco-toilet is a toilet that uses either very little water or none at all, while recovering a majority of human “waste” nutrients. There are many kinds of eco-toilet systems— home-made ones as well as commercially available brands— and new, better systems are constantly being developed. 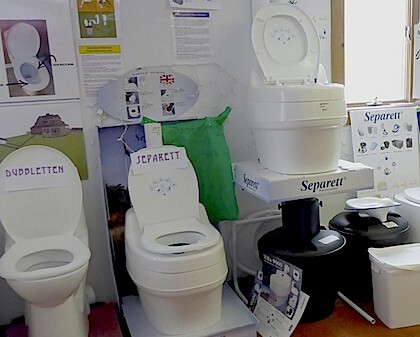 Extensive information about eco-toilets can be found at our sister site, the Cape Cod Eco-Toilet Center. While conserving precious water, energy and material resources, eco-toilets recover nutrients essential for sustainable agricultural systems. 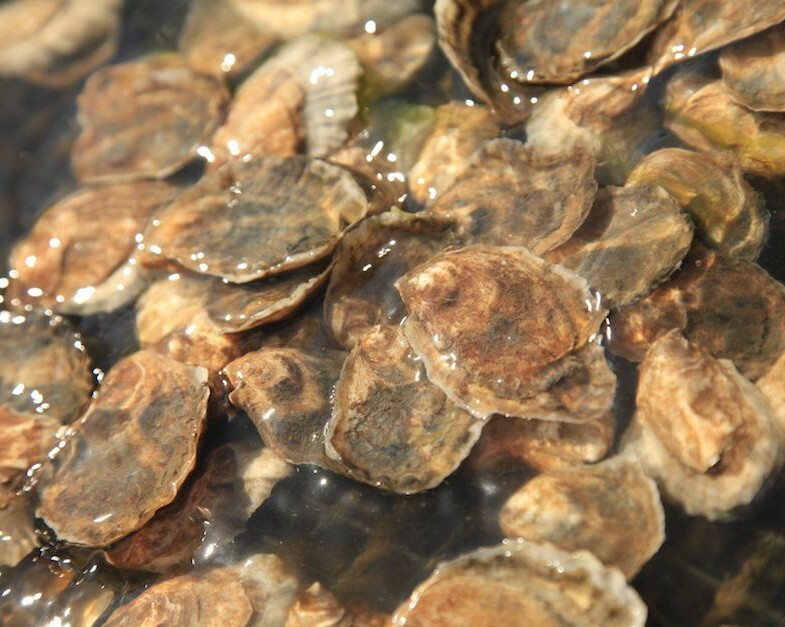 As they become adopted on a wider scale, they may prove to be the best solution to turn the polluting liability of human waste into nature’s most important assets: clean water and nutrients. 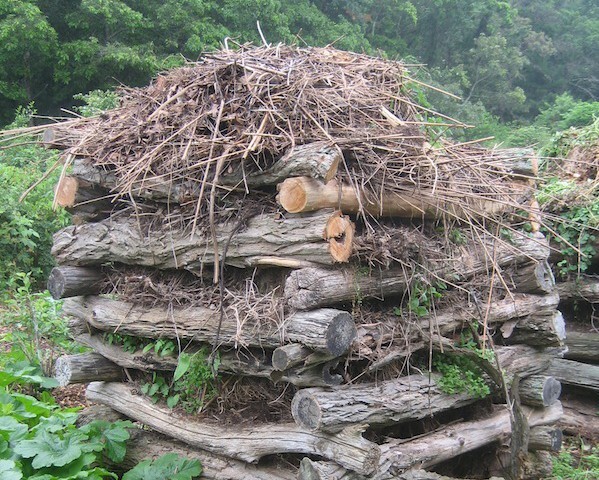 New, commercial versions of composting toilet designs have recently been developed that are cheaper, smaller, more sanitary, and more user-friendly than older commercial models. We have tested variety of eco-toilet systems to come up with a design that we think is the best available on the market today. 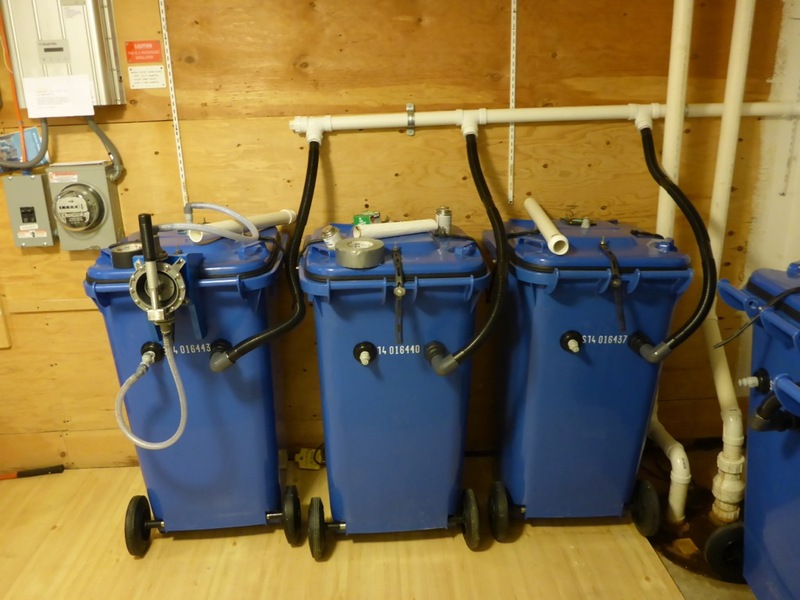 This Hybrid Urine-Diverting, Composting Eco-Toilet system combines a urine-diverting toilet from Sweden with the most practical bin composting system from Vermont. 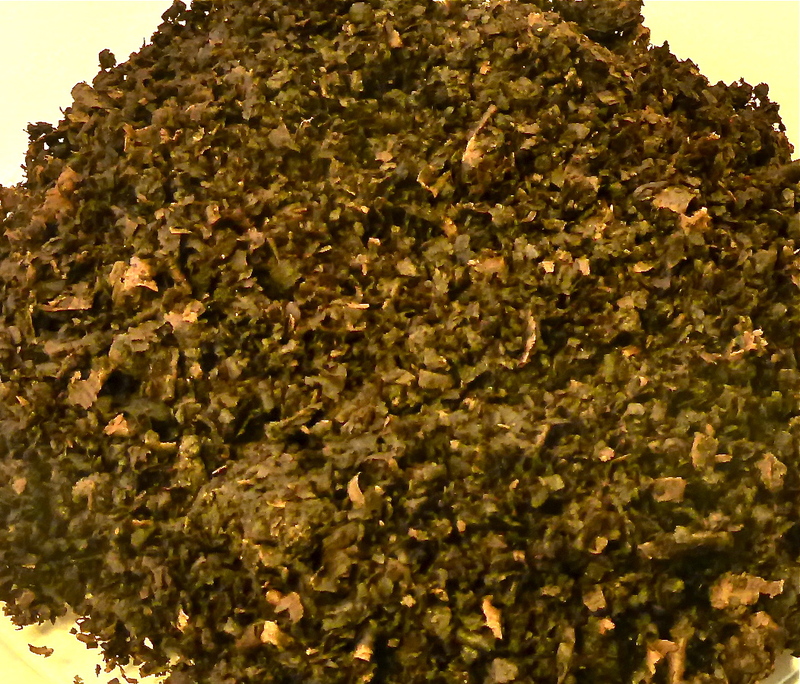 The result is no water use, low energy, safe recovery of all nutrients. 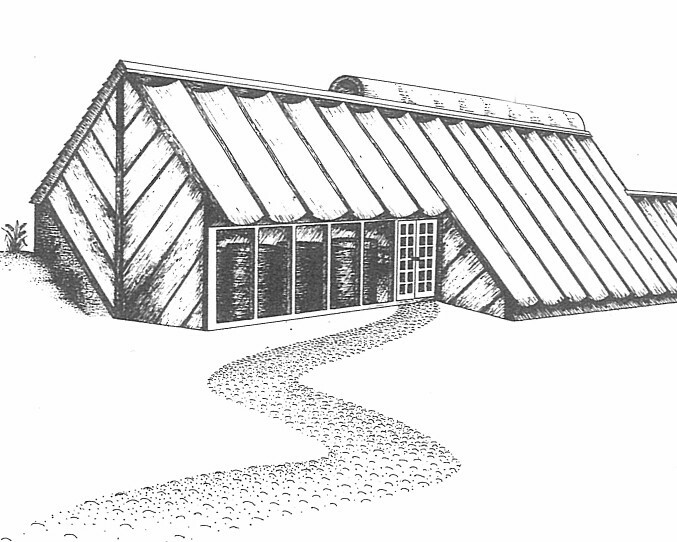 Please visit our sister site, the Cape Cod Eco-Toilet Center, to find out more. Waterless composting toilet systems were introduced to the US in the 1960’s with the large Clivus Multrum. The technology has gradually evolved to be smaller, easier to maintain, and more pleasant to use. The most advanced system provides better sanitation for the user than a flush toilet, and a high level of sanitation during maintenance. User Experience – Separett toilet is waterless, urine-diverting and contains a visual baffle to avoid view of chute. 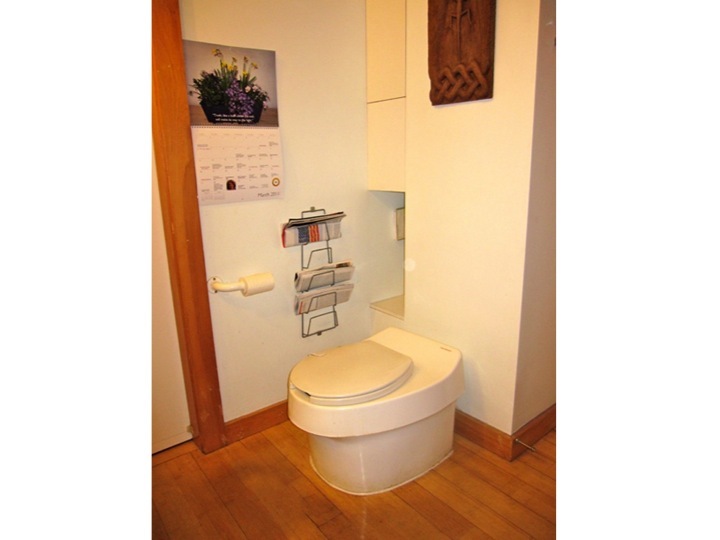 Systems are odorless; fans constantly pull air from the bathroom down into the toilet, eliminating all odors. Less Exposure to Pathogens – Multiple-bin systems require no contact with residual material during use or during periodic maintenance. 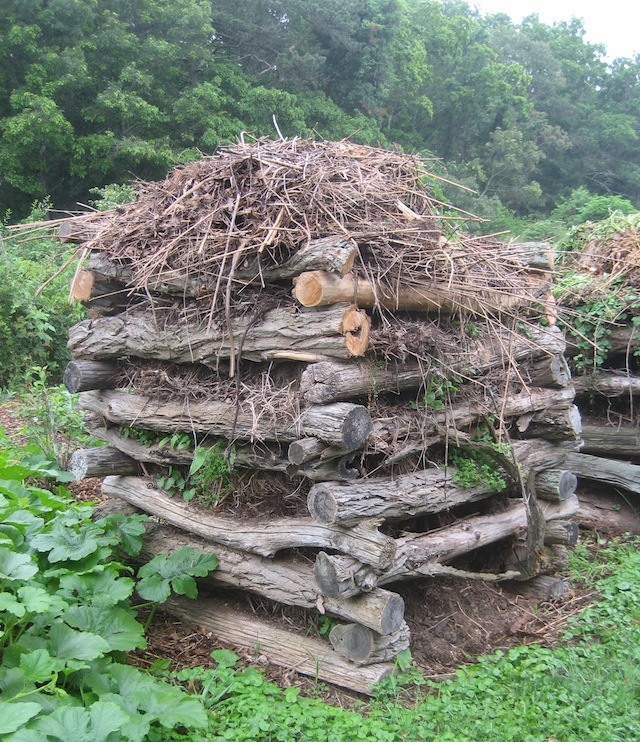 Compost is not moved or removed from bin until composted for 2 years, which eliminates all pathogens. Energy Efficient – Multiple-bin systems use 4 watts per bin for continuous ventilation and aeration. 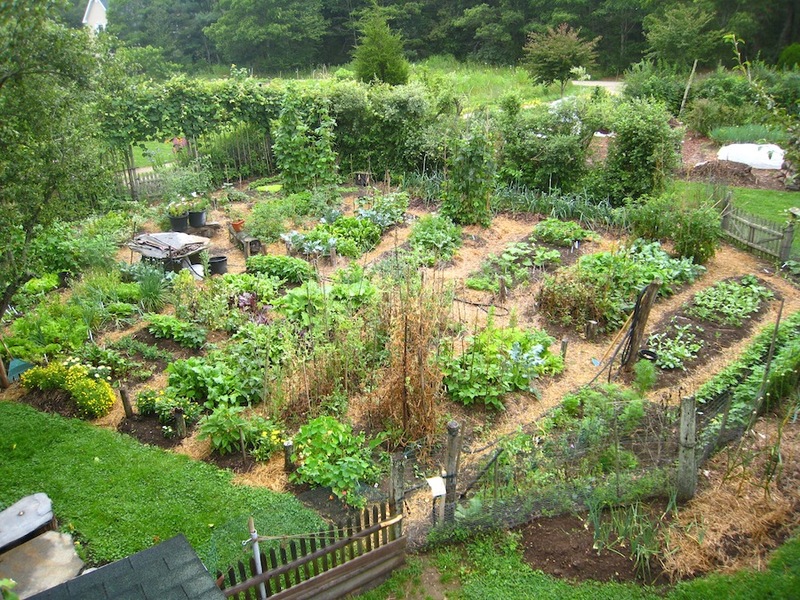 Better Aeration of Compost – best systems constantly move air through the entire volume of compost material. Urine Diversion – In early systems, urine flows through the compost and accumulates as excess liquid (leachate) at the bottom. Urine-diverting composting toilets directs the urine to a storage container for later nutrient recycling. Better Resource Recovery – More nitrogen is recovered with urine diversion than when if composting urine and solids together. 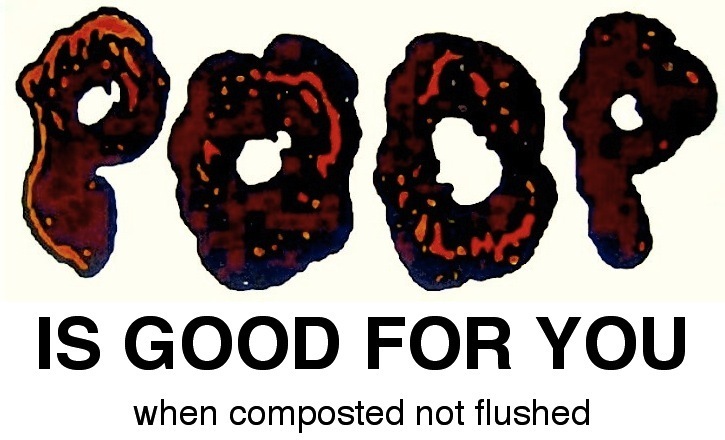 When composting urine and solids together, more nitrogen is lost in the ventilation air. 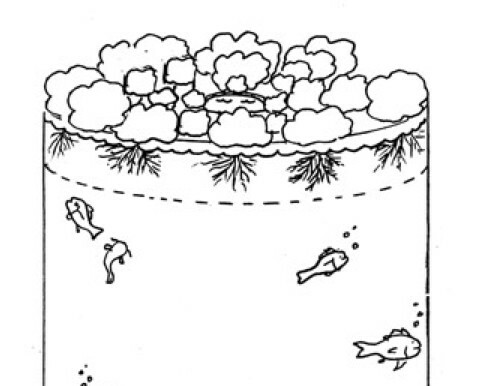 Below are our recommendations for using advanced ecological water and nutrient recycling strategies in the watershed planning and modeling for Three Bays watershed, in Barnstable, Massachusetts. How can we keep Cape Cod waters clean? 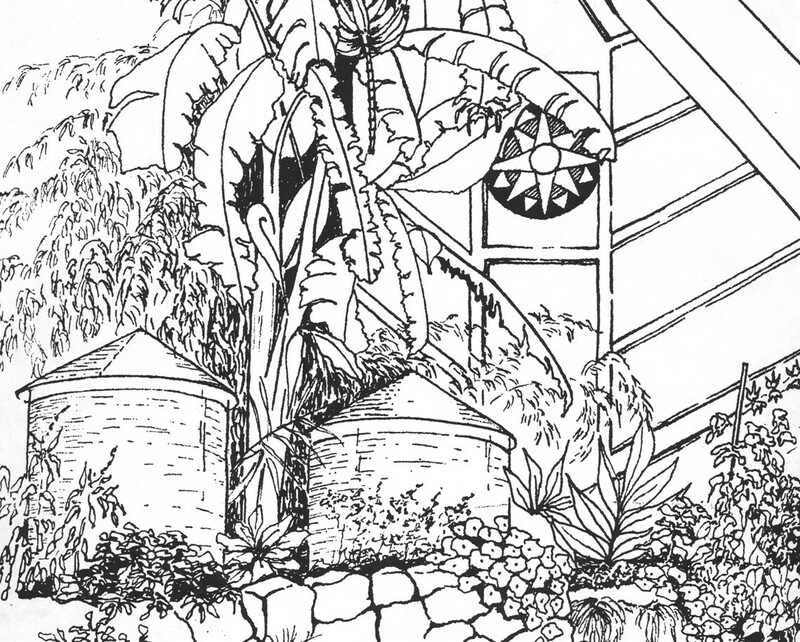 An 8-page publication ilustrated by Molly Bang, with support from the Falmouth Climate Action Team, The Green Center, GreenCAPE, Water Alliance, and the Coonamessett Farm Foundation. Enter your email address to receive notifications of new posts by email. We will not share or otherwise use your information.